Categorized as: Education, Middle East, Our Partners, Stories, Youth & Tagged as: Bilingual, Hand in Hand, Middle East conflict, Peace on March 19, 2016. Related Grantees: Dayton International Peace Museum, Precious Blood Ministry of Reconciliation, Teach North Korean Refugees, Tomorrow’s Youth Organization, Wahat al-Salam–Neve Shalom through American Friends of Wahat al-Salam–Neve Shalom. Read the latest updates on our Board Collaborative Partner, or scroll down to view the videos below. If you want peace, put your country’s future in the hands of children. That’s what a group of Israeli and Palestinian parents did nearly two decades ago when they tried an experimental bilingual, bicultural school that became Hand in Hand. 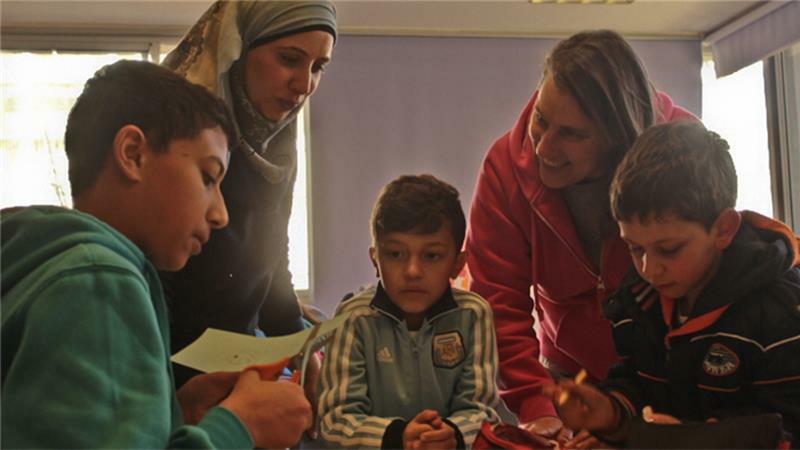 Living in a sharply segregated country, where Jews and Arabs live on two sides of the Green Line and never really get to know one another, they believed that if kids had a chance to study together, they would learn to live in peace. It’s working. Enrolled 1,320 Jewish and Arab children who interact daily, learning each other’s language, culture, and history–and becoming friends. Expanded their network to 6 locations: Jerusalem, Galilee, Wadi Ara, Haifa, Jaffa and, their newest location, Beit Berl for Tira and Kfar Saba families. The Jaffa Preschool that opened only three years ago has grown from 35 preschool children to 168 Jewish and Arab children: 121 in the preschool and an additional 47 children in 2 sections of 1st grade. The Haifa Preschool that opened three years ago in a garage with 13 infants, now has 83 children in 5 age groups. Ongoing sharing their impact country-wide, with thousands participating in our inclusive community-building activities. Received requests from 13 more communities to open a bilingual school in their area. One of their classrooms was a victim of an arson attack last year. The next day, “98 percent of the students showed up,” says one teacher. Alumni, parents, and neighbors gathered for a demonstration in support of Hand in Hand. Photographs courtesy of Hand in Hand and Al Jazeera; videos courtesy of Hand in Hand and Channel 2 Israel News. LEARN more about Hand in Hand here. DONATE to Hand in Hand’s efforts to build peace through quality bilingual, bicultural education, by clicking here.